My cousin Jimmy is a total disconnect. He is unemployed, unhealthy, unwashed. All right, I maybe made up the last two. He starts his day with a cigarette and a beer for breakfast and his food intake remains at that level until he shows up for supper at my house where my kindly boyfriend, who is an amazing cook, gives Jimmy a once a day nutrition injection. Is that enough? Jimmy doesn't have any health problems that I know of but I figure that's because he is my age, twenty-three. Disintegration hasn't yet set in. As for unwashed, well, I hadn't thought about it until he came screaming over to my house to tell me someone had broken into his house. I was rushing around getting ready to go to my afternoon job and not in the mood for Jimmy. "Somebody smashed the glass on the back door. Glass all over the kitchen floor!" he whined. "Somebody broke into your place? When?" "Last night, I guess. I drove down to Tacoma with some of the guys and it got late so we stayed over with Wally." The 'got late' part meant they had all been drinking too much and so they spent the night sleeping on Wally's floor in Tacoma rather than take a chance getting picked up DUI. Good call, probably. The only real puzzle was trying to figure out why anyone would break into Jimmy's house. He uses the kitchen sink as a giant ashtray. The counter and floor are often covered with dead pizza boxes. "Brave burglar. Could have tripped on the garbage and got hurt." He ignored me. We are pretty good at that. Jimmy and I grew up together, living on and off with our Gran when our sister mothers did their constant desertions. He was a sniveling little ferret faced boy. I was a bossy little girl and learned young to take charge of my life. I was so good at it, Gran constantly told me to look after Jimmy, too, to make sure he got to school and didn't lose his sweater and lunchbox on the way. "Listen up, Claire! The kitchen door wasn't locked. So why break the window?" Hmm. Right. Jimmy seldom locks his back door. Maybe an angry burglar broke the window on his way out. I mean, imagine breaking into a place and finding it contains about the same stuff as any dumpster. "So what's missing?" He gave me an odd look. "How should I know?" "Didn't you check through all the rooms?" He shrugged which meant no. "That's the first thing we need to do," I said. A little color drained back into Jimmy's face when I said 'we.' "Maybe we should call Tar." That's my boyfriend, Tarvik. I preferred to keep him out of it. I mean, I am kind of high maintenance all by myself. One day he may decide that me plus my needy cousin are way too much bother. "If I phone, he will think he has to leave work to help us. Let's you and me take a look at your place first." Jimmy's house is a few blocks from mine. When we got there, we circled around to the kitchen door and yep, someone had knocked out one of the small panes in the door window, making it possible to reach through and turn the knob. "Clue one. Stupid burglar," I said and ticked it off on my finger. "You said you didn't lock the door. Wouldn't a smart burglar try the knob first?" Actually, a smart burglar would never have bothered entering Jimmy's house. It was exactly as I remembered it from the last time Jimmy had an emergency that required me to hold my nose and enter. Cigarette butts in the sink, empty beer cans and pizza boxes everywhere else. I left the door propped open. And crunched across broken glass. "For starters, we should check to see if anything is missing." "What? How could I know if something is missing?" I gave him a shove. Jimmy is taller than me but just as thin, easy to push. "It's your house. Now get moving. I have to be at work in an hour." If I sound grumpy, keep in mind that my live-in boyfriend and I both work. He has a full time job and I have two half time jobs which add up to full time plus extra commuting. Jimmy's situation bugs me. His employment consists of occasional jobs for contractors, where he goes into old haunted houses and tells ghosts to leave. Yeah, I know, it sounds weird but we live in a neighborhood of families with inherited magic, none of it worth much and all of it getting weaker with each generation. Jimmy's one skill is the ability to feel the presence of ghosts. And every teardown contractor at some time gets a cranky ghost who makes trouble, knocks over paint cans or drops stuff on workmen. That's when the contractor calls Jimmy and slips him cash. Between those jobs and the occasional renter, plus constant handouts from me, he slides by. We circled through the kitchen, dining area and front room. Nothing out of place, not really, or rather, everything was its usual mess under layers of dust. Jimmy didn't think anything was missing. "What about cash? Check book? Bills? Where do you keep that stuff?" He looked at me as though I had lost my mind. And then he opened the hall closet, pulled a shoe box full of loose papers off the shelf, waved it at me and put it back. "Yeah, I got bills and a check book in there. If anybody wants to steal my bills, they are welcome. The only cash I have is in my pocket." Occasionally he does the odd job for somebody besides contractors, jobs that have nothing to do with ghosts. I never ask about those jobs because if he told me the truth I would bang my head against the wall until I passed out and we both know that. "Okay, if nothing is missing here, we should check upstairs and then I have to be leaving." "Uh, what if there is somebody up there, Claire?" "Upstairs? Why would there be?" "Yeah, I guess. Okay, go ahead," he said, and left me a choice. I could stand at the bottom of the stairs staring at him for the next hour while he tried to think of ways to weasel out of searching his own house, or I could figure no burglar would be dumb enough to hang around. Worst that could happen would be Jimmy and me running down the stairs screaming. I doubted an ax murderer would remain all night and half a morning in a house with an empty refrigerator. I stomped up the stairs. Jimmy followed. Both bedrooms were a mess, dirty clothes on the floor, beds unmade, and how did he manage to keep two beds unmade? Nah. I didn't want to know. I did look in the closets. Empty. "Uh, no. But I don't remember any sheets on that bed." He pointed into the room across the hall from his own. Occasionally he has a renter, a guy desperate enough to pay twenty bucks to rent the room for a week. His renters usually find someplace else to live before the week is up. With my shoe I kicked aside a layer of dirty clothes in the hall. "So all that leaves is the bathroom." "You think there is someone in the bathroom?" "No, but if somebody broke into your house and saw your downstairs and came upstairs anyway, I would guess he was looking for drugs." I never heard of a burglar who came to steal dirty clothes, I didn't say, because I didn't want to get involved in a long argument. "I don't do drugs. You know that." "Yes, I do know that. But a burglar might not." I opened the door, peered in, and let out a screech. When I turned around, my brave cuz was half way down the stairs. "Get back here," I shouted. "Who did this?" As I was merely shouting, not passing out, Jimmy came slowly back up the stairs. 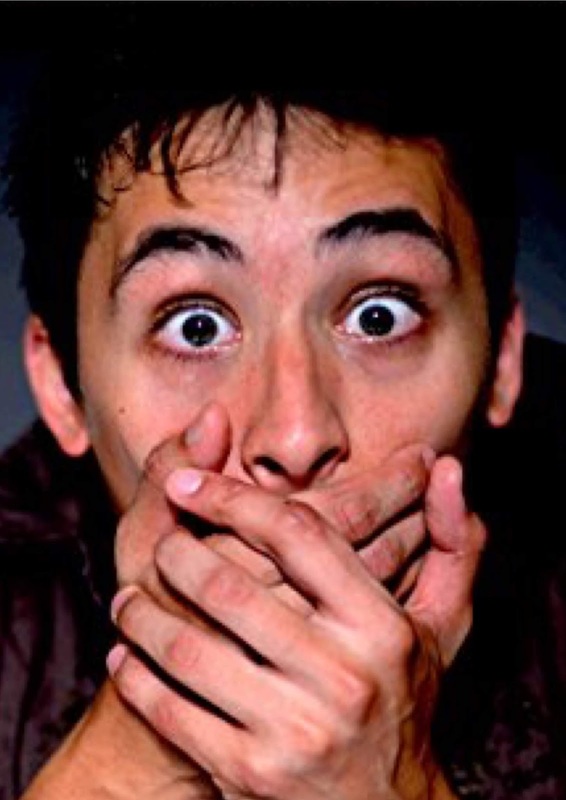 From his expression, I knew he was expecting a dead body in his bathtub. No such thing. Although almost as shocking. The room was spotless. Shiny clean, except for a pile of rags in one corner. Someone had cleaned out the tub and washed the floor. On the edge of the tub was a new bar of soap and a shampoo bottle. "What the hell?" Jimmy muttered. A damp towel was folded over the towel rack. Not dropped on the floor. Not Jimmy's style. "Somebody took a bath and made up the extra bed. Sounds like a homeless person spent the night here." "How does this happen to me?" Jimmy moaned. "I go away for one night and a stranger breaks in. Probably carrying some rare disease, ya know?" "Good point," I told him. "If it was my house, I would gather up all the sheets and towels and toss them in the wash machine. And now I gotta run or I will miss my bus." "You're leaving? What if this person comes back?" Spreading my arms, I did a slow turn in my skirt and shirt and sandals. Nowhere to hide a weapon. "Do I look like a body guard? If you are worried, call the police. Maybe you're the victim of a serial housebreaker, maybe an escaped prisoner. The cops might know." Jimmy had time to worry. I didn't. I had a job. One that paid. I had done what I could, checked the house with him, and that was that. Yeah, well, not exactly. When I got home from work, my boyfriend was in the kitchen cooking supper. Tarvik is blond and adorable and kissable, so I did that, kissed him, one kiss leading to another, until he said, "Jimmy is here. He was waiting on the steps when I came home." The kitchen opens into the front room and there was Jimmy, stretched out on the couch in front of the TV. Jimmy comes to supper with us every night he doesn't have something else to do. Nothing new. "Is there a problem?" "He wants to sleep on the couch tonight. I didn't ask why. I thought perhaps you knew." Marching into the front room, I planted myself between Jimmy and the TV. "Why do you want to sleep on my couch?" "Hey, cuz," Jimmy muttered. He looked exhausted, even I could see that and I gave up worrying about Jimmy's health a long time ago. He sat up slowly and rubbed his eyes. "You know how you told me to wash the towels? Well, I tried to." "Tried to? You have a washer. What's to try?" "Those rags in the corner of the bathroom on the floor? Those weren't rags. They were my tee shirts. So I picked them all up along with the towels and took them downstairs and opened the wash machine and you're not going to believe this." What I really wanted to do was go take a quick shower and change into something cool and sloppy. Instead I did the usual. I asked what he wanted me to ask. "Believe what?" "It was full of clothes. Not my clothes. I never saw that stuff before." "You think they belonged to whoever broke into your place?" "Must. What else could they be? If he left his clothes in the washer, he must be figuring on coming back." That answered my next question. Jimmy was afraid to stay in his own house alone. I didn't know what to do. What if he was right? What if the housebreaker was some crazy with a gun? I mean, the housebreaker would have to be crazy if he planned to return to Jimmy's messy house. Over supper Jimmy and I explained to my boyfriend what had happened. We all agreed Jimmy should sleep on my couch if necessary and let me tell you, it takes a lot to make me accept that sort of idea. One of my nightmares is a dream of Jimmy moving in with me after losing his house, either to his mother who actually owns it but is living in another state, or to the tax collector or to bankruptcy. Which is why I often come up with the money for his taxes. Now it looked like I might get him as a housemate because of a stupid burglar. Okay. If I could pay Jimmy's taxes to keep him in his own house, I could definitely confront a burglar. "Here's the deal," I told him. "We are going to call the police and then we are going over to your house tonight." "No, we aren't," he muttered. He stared down at the table and refused to look me in the face. Because I know my cousin way too well, I suspected he had recently had a run-in with the Seattle police department and didn't want to remind them that he was still around. "I'll go over and check the house," Tarvik said. Would getting shot to help out his girlfriend's cousin be taking high maintenance way past the limit for him? "Not by yourself," I said. "Jimmy goes, too. And me." Jimmy gave me an angry glance. "How about getting backup?" It wasn't actually the stupidest suggestion he had ever made. Using my cell phone because he hadn't paid his bill and had been cut off, Jimmy phoned a half dozen guys in the neighborhood who play on the same soccer team. While he was calling, Tar and I did the after supper clean up of the kitchen. And then we walked down to Jimmy's house and waited by the front curb for backup. Tarvik wanted to go on in and get done what needed getting done, but Jimmy whined and I did a lot of arguing, so he waited. By ten o'clock everyone was there, eight guys and me. The six who arrived came armed with an assortment of weapons including baseball bats and garden shovels. I didn't ask what might be in pockets. We explained what was going on and then we all went around to the back door and no, they weren't silent. They didn't intentionally make noise. But eight guys can't move silently together, at least, not that eight. The downstairs rooms were dark. No burglar. Tarvik flipped on the light and led the way upstairs. The doors to Jimmy's room and the bathroom were open. He flipped on those lights. Empty. The door to the second bedroom was closed. Tarvik reached for the knob. "Don't," I whispered. "Jimmy, did you close that door before you came over to my place?" "What if someone is in there with a gun pointed at the door?" I suggested. They all watch too much TV. That whole crowd did the cop thing, shouted, "NYPD, open up!" which was pretty weird considering we live in Seattle. Enough's enough. I pushed past all those noisy guys and knocked on the door. And then I gave it a push and it banged open against the wall. Reaching inside, I flipped on the light. All this by myself, avoiding Tarvik who was grabbing for me to pull me back. So now do you believe how anxious I was to keep Jimmy in his own house and not in mine? Yeah, well, in a way, Jimmy was right. There was a lump under the sheet on that bed, a man size lump, with the top of his hairy head barely visible. He let out a snore. Talk about heavy sleepers, though I guess that is common enough when someone first falls asleep. "Hey, you!" I screamed. My high voice did it. The body in the bed let out a snort, tried to flip over and rolled out onto the floor. A guy in an undershirt and shorts managed to sit up. His eyes were slits. He rubbed at them. Gotta say, a guy in his underwear, with his eyes practically glued shut with sleep, does not look dangerous. "Who are you?" I asked at the same time Jimmy said, "Oh my God." As the man on the floor didn't seem able to speak, I swung toward Jimmy. The others had all pushed into the room, a crowd of big guys holding rakes and hoes and baseball bats. They gave the sleepy man a glance and then turned their stares on Jimmy. "Uh, yeah. Sort of." He looked ready to sink through the floor. "He, uh, he works for, uh, he's looking for an apartment, uh." He had to be one of the strays Jimmy finds, guys new on a construction job or recently kicked out of a girlfriend's apartment, so desperate they take Jimmy's offer and hand him twenty bucks. "He rented this room," I said. "Uh, right. I forgot all about him." Met the guy the morning before going to Tacoma with friends, that's what Jimmy had done, then had a night of partying at Wally's place and had completely forgotten he had a new tenant. "Do you know his name?" I asked. "Um, it's Tom or Tim or something." The man on the floor muttered, "Greg." The guys all said stuff like, "Nice to meet you, Greg," and filed out of his room and down the stairs and out of the house before they started yelling at Jimmy. I stayed behind because I had a question. "Greg, why did you break the window in the back door?" He turned his face up toward me. His eyes remained slits. I must have looked like a blur to him. "Accident. Sorry. I was running late for work and bumped the glass with my tool box. Couldn't find a broom. Couldn't stop to look. I came back on my lunch hour. Somebody had already cleaned up." Yeah, I had swept up the broken glass and gone on to my job. And Jimmy had gone off someplace else, probably to the store to buy cigarettes and pizza with the rent money from Greg. The first and last rent money from Greg. 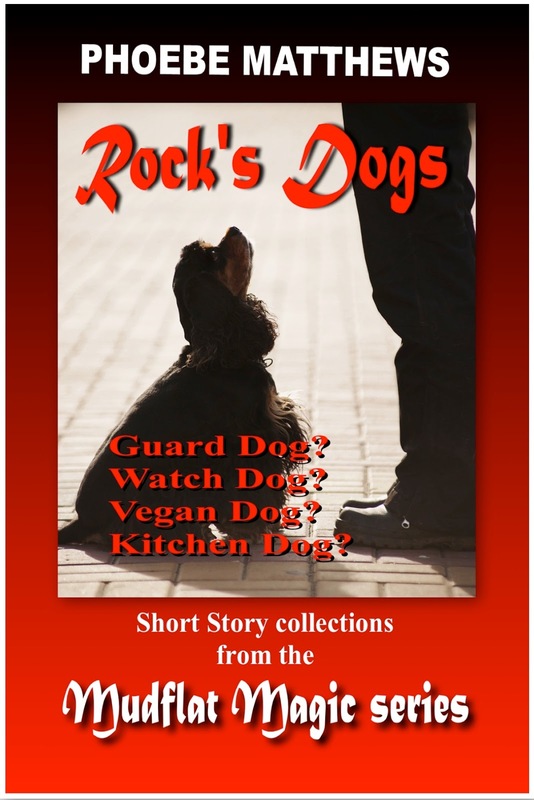 This story is included in the Rock's Dogs collection of 12 short stories. Visit HOME PAGE (link at top of this page) for information and links about books and prices and for AXP giveaways.